The creation of a MARCELLO VERO suit incorporates 35 hours of traditional hand tailoring and hand finishing by experts in the craft. Select few have the eye-for-detail, skill, experience, discipline, and talent to complete the art of construction. 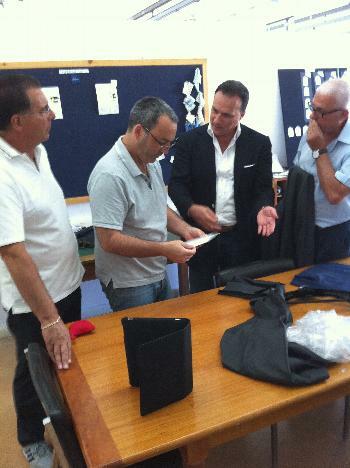 Each custom pattern is made of 103 parts hand-tailored in Italy by 15 master-tailors for a perfect fit. The MARCELLO VERO Bespoke Construction Process require 98 intricate steps to create a finished garment, and it is considered one of the finest bespoke suit in the luxury men's custom clothing industry.